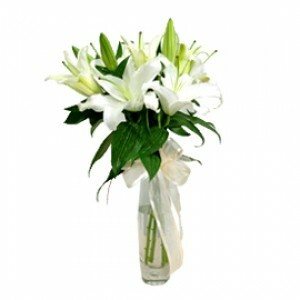 Easy to order, well presented flowers which arrived exactly when they said. As above. 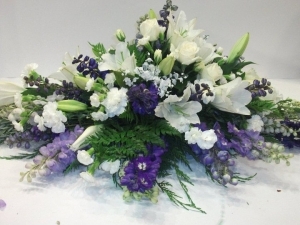 Do not have any idea of the quality of the product and as it was a funeral are unlikely to receive any feedback. I was advised of delivery by the company, rather then having to wiat for ackmowledgement by the family, who had much to do on this stressful day. Thank you so much. Ordering and payment very easy. Really beautiful floral display and yummy chocs delivered on time. Daughter in law very pleased. I would recommend this florist. Flowers are beautiful, and delivered at requested time! Thank you, I was told that they were lovely. The delivery was seamless and my girlfriend was so pleased. Will be back for sure! Just like it says on the tin. 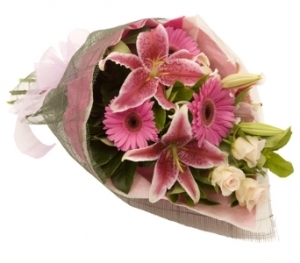 Delivery as per order and flowers exactly the same as picture online. Great service. Excellent service,, thanks! Mum was thrilled with the gorgeous flowers and with the beaming man who delivered them. She said it really brightened up her gloomy, drizzly Monday. Customer service is amazing!!! They go above and beyond to ensure that their service exceeds their customers' expectation. I will definately be recommending them to friends and family in the future and will use them myself again. Excellent, a very good service and quality. Really pleased with this service and florist. I ordered in uk late evening and they were delivered next day in NZ. 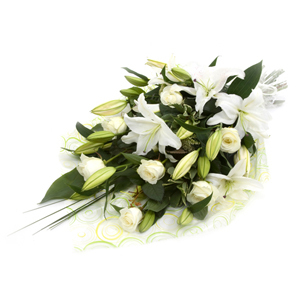 Next day delivery of a sympathy arrangement was much appreciated and hassle free. Very easy to select and order online from the UK with delivery in NZ and a text to confirm delivery was received. My friend whom I sent the flowers to sent me a photo of them. The gerberas were gorgeous as were the tulips but I thought the colours were a bit garish and did not quite match what I was expecting from the initial photo on the page I will still use them again should I need to send flowers in NZ. Great flowers &amp; delivery was quick! I didn't see the flowers (sent the &quot;florists choice&quot;) but I was told they were beautiful! Thank you! Nice flowers, delivered on time with one days notice. Would use again. My sister-in-law was thrilled with the flowers. I was very pleased with simple ordering process and efficient service. Flowers were lovely and arrived promptly as arranged. My daughter said the flowers were amazing. Thank you. Beautiful flowers delivered. Thank you. Beautiful flowers and prompt delivery. My friend loved them. Thank you for helping me cheer my friend up! Flowers were beautiful, thank you! Recipient delighted with flowers, So I am happy too! Nice to know I can rely on a florist on the other side of the world to get it right, will definitely use again. 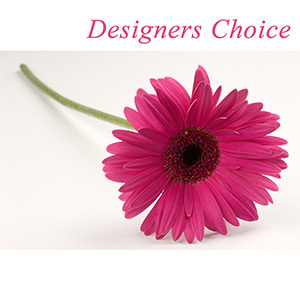 Brillant service and stunning flowers , easy process . Flowers we lovely and well received . As above, great service and beautiful flowers! Awesome service. The flowers were beautiful and arrived on time. The courier followed the special instructions for delivery to this difficult to access property so well done. Thank you once again for the beautiful flowers . Fast , easy and delivered on time . Really impressed , quick and easy to order . Lovely flowers . Great service = everything went smoothly for my bespoke order. Emails were responded to in good time. Thank you and I will be sure to use you again. Arrived on time as requested . 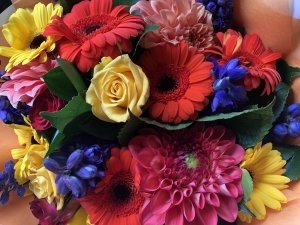 Thank you so much for a stunning bouquet . First class,the recipient was delighted with the flowers,said they were beautiful. Flowers were beautiful and arrived on time. Thank you. Apparently the flowers were absolutely beautiful and my sister said the delivery person was really lovely. Thank you! Extremely pleased with service. First rate. Thank you. Not as good or as fresh as i would expect. 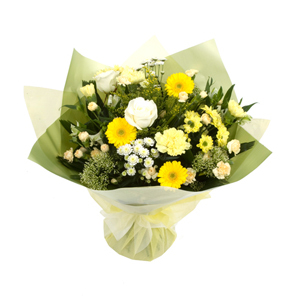 Flowers requested were for &quot;get well&quot; colours and the recipient was delighted with the display of cheerful colours arriving at the door. We have used this florist twice recently - once for a wedding anniversary and once for a birthday. The recipients were delighted on both occasions, and said the flowers were very fresh, beautifully arranged and lasted well. They were also delivered at the time requested. Highly recommended! Great flowers, arrived on time. My Aunt said she was thrilled with the flowers she received, and that they were just beautiful". Thank you!" Original selection unavailable, but a substitute was provided that totally complemented the presentation. Very happy with the result. My sister said the flowers were absolutely beautiful"." the florist went out of their way to deliver the flowers to my sister. i really appreciate everything they did. 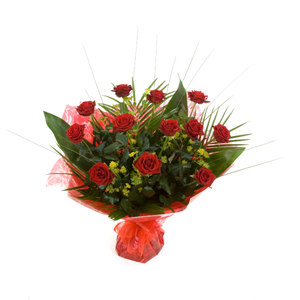 Excellent arrangement and fast delivery. Recipient loved them. Thank you. Teddy good value. Flowers looked very nice, although expensive. Three of us bought flowers here for the same person. Two on line and one actually from the store. I'd buy again from Queensgate. Pretty flowers, good delivery, no worries at all. Thanks! Plant was delivered on time for my cousin's birthday in spite of a bad storm! Beautiful flowers, delivered in good time, thank you. Awesome flowers and amazing fast delivery. Thank you so very much. Fantastic florist and service! Thank you so much will use again . Fantastic, fast, serviced and delivered on time . Thank you ???? Brilliant service, can't recommend too highly . Thank you so much for going the extra mile. Very friendly and efficient. I had requested my order to be delivered within an hour. I called to make sure they could process it and the courier was already on the way to pick up the flowers for delivery. 10/10 for service and flowers! Super quick delivery! Thanks! Lovely bouquet delivered promptly, great service thanks very much! Brilliant service, I was so impressed. Communication was excellent. Flowers were beautiful and delivered as promised. Very impressed and will definitely use again. Many thanks. I was really impressed by the care the The Florist Queensgate took with my order and delivery. I had thought that ordering flowers from the US for delivery in NZ would be difficult, but they made it easy! Didn't think sending flowers from Britain to New Zealand could be so easy. They arrived within 24hrs of order and I'm told look beautiful. 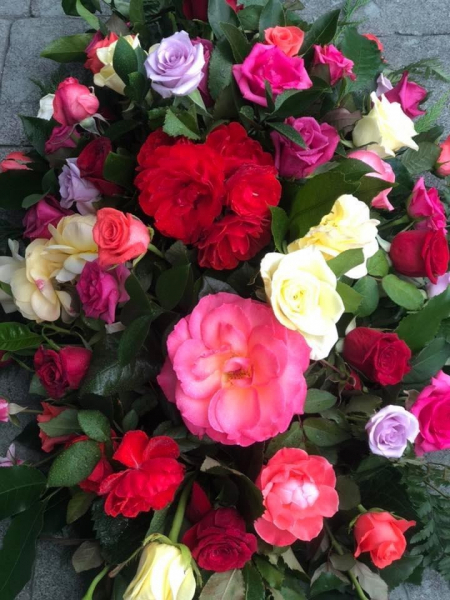 My sister in law was thrilled with the basket of flowers you delivered....Thank you so much........this is the first time I have used Direct Florist.....I shall be using you again....Regards Annie Reed. 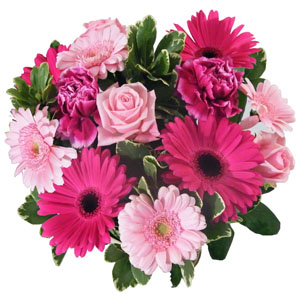 Gerberas and roses and Carnations a classic favourite. Bright selection of season flowers. 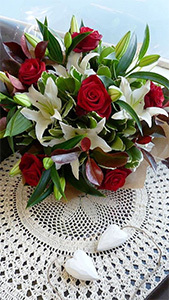 A stunning seasonal bouquet of red roses and white lilies. Presented ready for a vase. Simple and elegant. 12 Red roses beautifully presented. 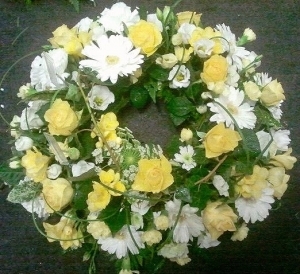 Stunning wreath made with the freshest blooms,you can choose your colours. (Tip) A wreath is always sent to funeral home or to service not suitable for a home address.